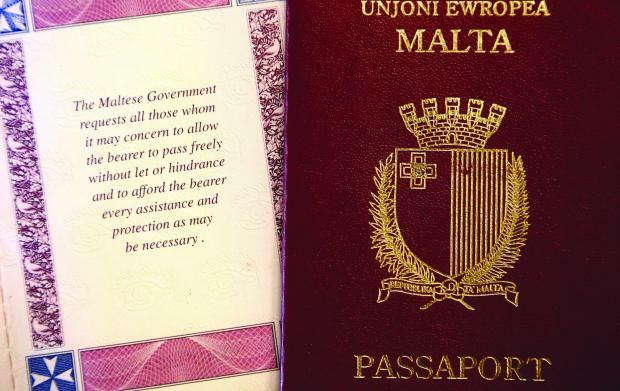 Identity Malta has received just over 200 applications for citizenship, with 16 already at the second stage, where due diligence is performed. There are more than 30 nationalities represented among the applicants. So far, no one has actually been granted citizenship. The controversial Individual Investor Programme (IIP) was launched by the government six months ago and is capped at 1,800. The government’s concessionaire for the programme, Henley and Partners, had said that the first full citizenship application was submitted in the week starting June 2. “Their excellent services are attracting to Malta the type of individuals that the government wanted to target through the IIP, with the potential of significant investment in our country,” Identity Malta chief executive officer Jonathan Cardona said. By mid-June, Henley and Partners claimed that over 100 individuals had made €100 million worth of financial commitments, while Home Affairs Minister Manuel Mallia had toned this claim down, saying none of the applications had yet reached investment stage. The IIP offers the opportunity to acquire Maltese citizenship through a contribution of some €1.15 million in cash, bonds, investment and real estate, with an obligatory residency clause of one year. A number of real estate agents told Times of Malta and the Business Observer that many of the applicants came to the island intending to rent property – but quickly became enamoured of the country and were considering purchasing.